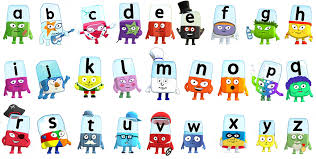 Phonics consists of the skills of segmentation and blending, knowledge of the alphabetic code and understanding of the principles which underpin how children learn to read and write. Here at St James’s Catholic Primary children in EYFS and Year 1 receive daily phonics sessions through supportive, differentiated group work. In Nursery children follow the governments initiative ‘letter and sounds’. The first phase of Letters and Sounds concentrates on developing children's speaking and listening skills and lays the foundations for phonic work. The emphasis is to get children attuned to the sounds around them and ready to begin developing oral blending and segmenting skills. Reception and Year 1, teachers use progressive planning based on the ‘Read Write Inc’ scheme of work. Focused activities allow children to revisit, learn, practise and apply their knowledge and understanding in fun and engaging games and activities. Pupils are systematically taught the phonemes (sounds), how to blend the sounds through words for reading, and how to segment the sounds for spelling. In Reception and Year 1 children are formally assessed every half term by class teachers. When children reach the summer term of Year 1, their phonic knowledge is assessed through the statutory phonics screening check. It can also be repeated during Year 2 to monitor progress and identify those children in need of intervention. In KS2 children continue with phonics, applying their phonic knowledge to spell new words. Intervention programmes, designed to ‘boost’ children’s learning, are also put in place to support children in developing and applying the skills they need for reading and writing.